The Costa Maya purpose-built port, located along the Yucatan Peninsula’s Caribbean coast. It was originally opened to cruise traffic in 2001 but was destroyed by Hurricane Dean in 2005. Luckily, the area has been restored and is currently able to accommodate up to three ships at one time. This up and coming Western Caribbean cruise port offers plenty to do but still provides an old-time Mexico feel. Is your cruise ship visiting this hidden gem? 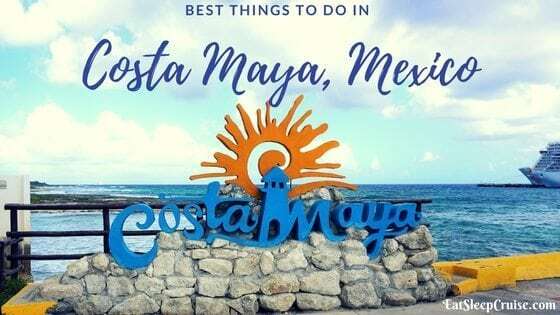 If so, you will want to explore our Best Things to Do in Costa Maya on a cruise to make the most of your time ashore. Costa Maya is located in the heart of the ancient Mayan civilization. This means you are just steps away from exploring archeological ruins that are centuries old. The most popular site is Chacchoben, located about an hour away from the cruise terminal. The site contains several temples and ruins dating back as far as 300AD. Guided tours of this site will give you a greater understanding of the history and culture of these complex people. We booked an informative walking tour of this site with the Native Choice local tour company. We would highly recommend that you do the same. 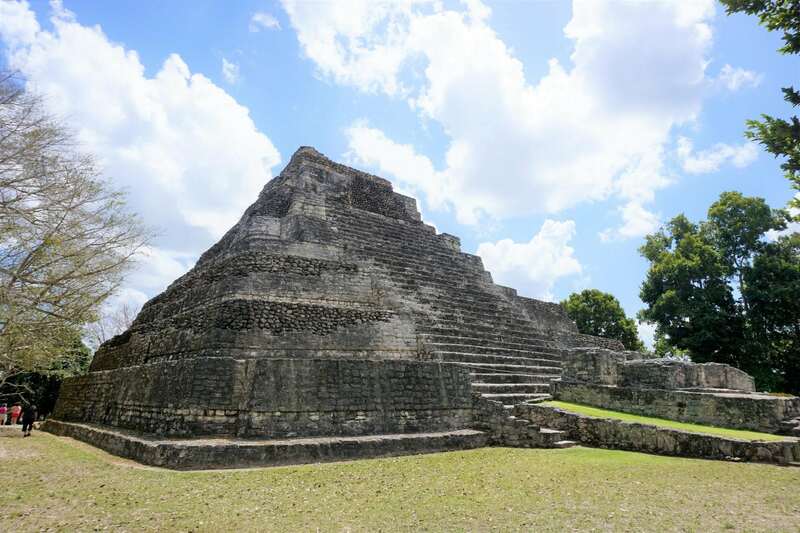 Other nearby sites include Kohunlich and Dzibanche which also provide great insight into the Mayan civilization. One of the largest Mayan ruins ever excavated, Xcabal, will also be open exclusively to tourists in the near future. There is much natural beauty to explore while visiting Costa Maya. In fact, it is a snorkeler’s and diver’s paradise. Located on the Meso-American reef you can checkout the 2nd largest reef in the world! In addition, many excursions get you up close and personal with some of the most colorful coral formations and diverse sea life in the Caribbean. So, get those fins on and hop into the crystal-clear waters for some amazing sightseeing. Bacalar Lagoon, “Lake of Seven Colors”, is also an awe-inspiring natural reserve to do some glass-bottom kayaking or bird watching. If you’d prefer to stay closer to your cruise ship, you can still interact with some sea life at Dolphin Discovery located right within the port. You can choose a dolphin swim adventure or a dolphin encounter that the kids are sure to love. Even if you don’t want to pay for an excursion, you might want to take a stroll by this area to catch the creatures performing some neat tricks. 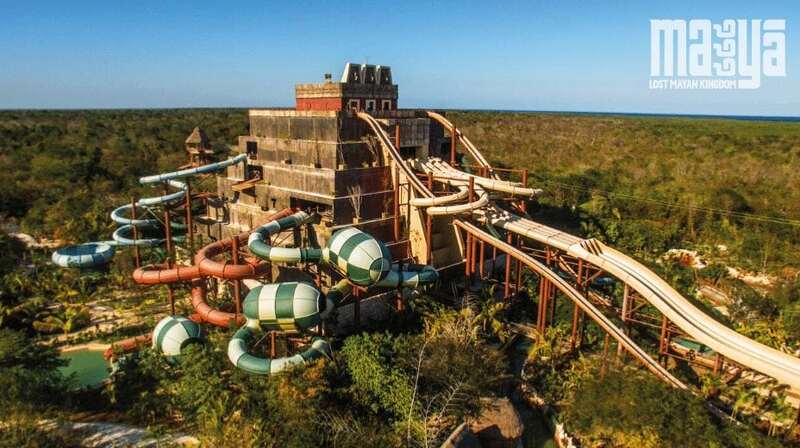 Maya, Lost Mayan Kingdom is an adventure and waterpark. Luckily, it is located a short distance beyond the port in the quaint fishing village of Mahahual. You can get there by trolley from the pier or a short t minute walk. This family friendly attraction offers plenty of wet and wild thrills for everyone. For the $99 admission fee, you will have unlimited access to a number of activities during your visit including zip line circuits, a zip coaster, waterslides, pools, a lazy river, and a kid’s only area. Whether your idea of fun is splashing down all 8 waterslides, floating down the Jaguar River, taking a dip in the pool or cenote, or soaring your way through 12 zip lines and a one of a kind zip coaster, you are sure to have a swimmingly good time at the Lost Mayan Kingdom during your visit to Costa Maya. For those looking for a bit more adventure with less splish-splashing, you can do a little off-roading. The only true way to get to the heart of Costa Maya’s unspoiled landscapes is with all-terrain vehicles. These 4X4’s that can maneuver through the dirt roads and trail offering you one thrilling excursion while ashore. If all this talk of adventure doesn’t sound like much of a vacation to you, perhaps you’d rather spend your day relaxing on the beach in the warm Caribbean sun with a drink in hand. We can’t blame you. If you choose to book a beach excursion through your cruise company, most will take you to the Beach Escape beach club located on Uvero Beach. 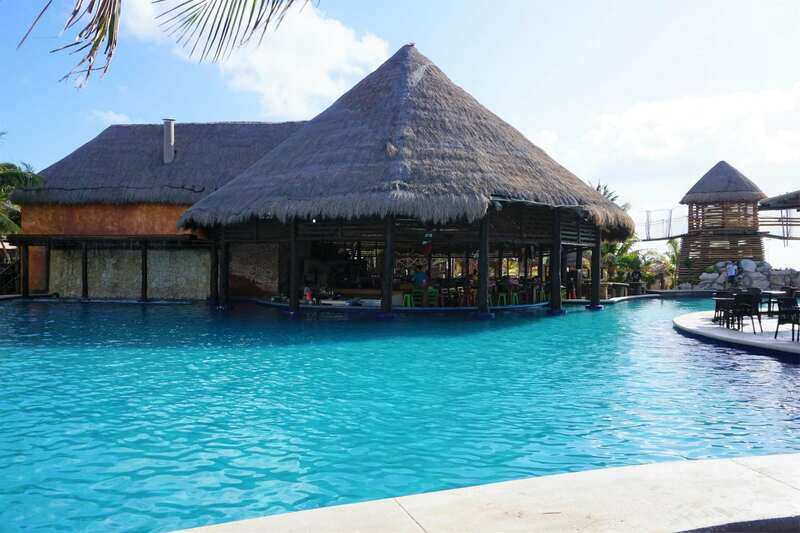 There are also many other beach clubs located on the Malecon of Mahahual, located only a short cab ride away from the port. 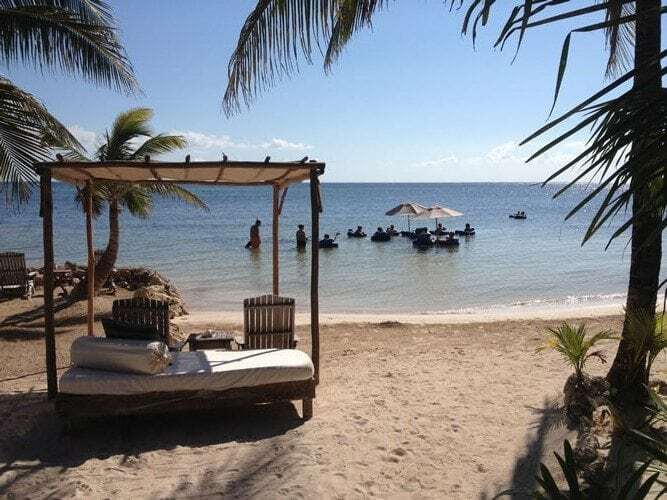 Some popular choices among cruisers are Tropicante Restaurant and Beach Club which offers free loungers on the beach (not all-inclusive), Los 40 Canones, Nohoch Kay, and Maya Chan. For approximately $50-60, many of these options offer an all-inclusive experience with guaranteed lounge chairs and umbrellas, open bar, lunch, WiFi, use of non-motorized water sports, and more. An absolute day in paradise. What more could you ask? 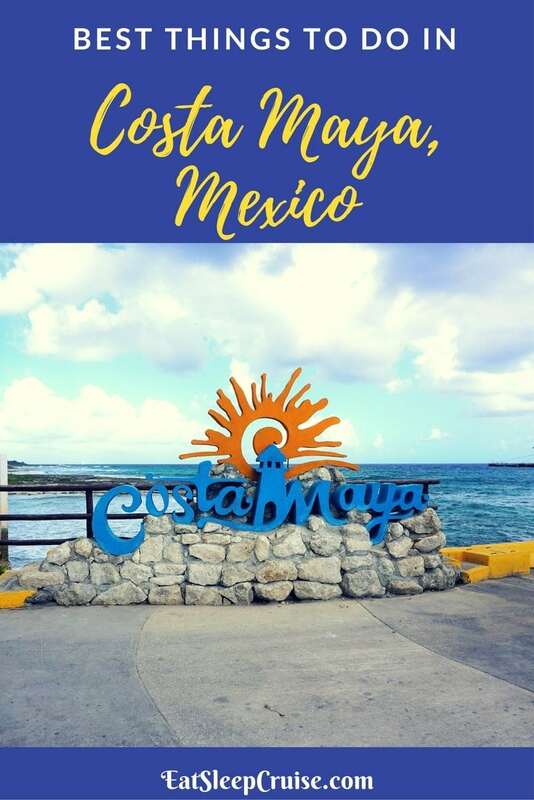 If you’d rather keep your day more low key, the Costa Maya cruise port area itself is quite large, so there will be plenty to keep you occupied if you decide to stay local. You can dance to the beat of the Mayan drums, enjoy the traditional papantla flying man ceremony, indulge in some authentic Mexican cuisine, shop for handcrafted goods at the artisan market, or lounge near the saltwater pool with its very own swim up bar. The downtown area of the quaint fishing village, Mahahual, is also only a short distance away from the port. Here, you can stroll the pedestrian only Malecon lined with beaches (see above), hotels, and restaurants. Be sure to enjoy some seafood along with the views during your visit. This area is an approximately 30-minute walk or a short cab ride away. You can also take the port shuttle into town for $3. No matter what you decide to do during your visit to Costa Maya, you are sure to have a great time. With so much history, adventure, and natural beauty, you will see why this port of call is a true hidden gem. If you don’t have a cruise booked to Costa Maya yet, what are you waiting for? 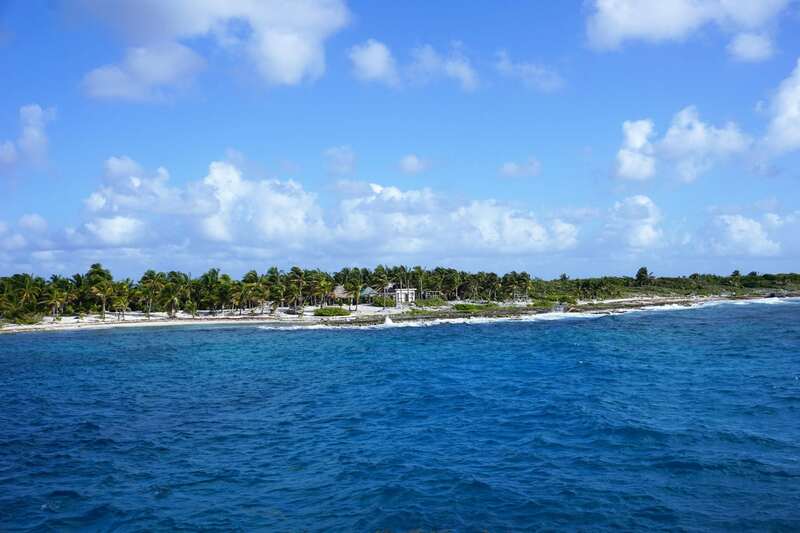 Have you visited Costa Maya on a cruise? What are your best things to do in this beautiful Western Caribbean port of call? Drop us an anchor below to tell us what you love about Costa Maya.